Tesla’s vehicle prices are aimed straight at the heart of luxury vehicles built and sold by the big German auto manufacturers. Porsche, Mercedes, BMW, and Audi have all been taken on very directly with Tesla’s vehicles. Surprisingly, they have yet to really respond with any vehicles that can fight back against the onslaught. When the Tesla Model S first achieved production and sales volumes worth mentioning in 2014–2015, the luxury automakers didn’t seem worried. It was eating into their lower volume makes that saw a few thousand sales per year. At the end of 2015, we saw clearly that Tesla’s Model S sales were up more than 50% year over year and sales for every other luxury vehicle manufacturer playing in that segment were down. It wasn’t great, but they were able to rest comfortably on their higher volume vehicles, like the BMW 3 series, the Mercedes C-Class, and the like. The Model 3 changes the game, but it’s still very early. The Model 3 is starting to chip away at sales of these manufacturers now, but what is around the corner? Yes, the Tesla Model 3 has achieved a production rate of 5,000 vehicles per week and that’s huge. If it can consistently produce vehicles at that rate, that’s more than 21,600 vehicles per month, on average, and would make it the top selling electric vehicle in the world. Looking at 2017, we can see that Porsche sold 246,000 vehicles globally, which represents a 4% increase versus 2016, driven by a sharp increase in sales of the Porsche Panamera, the Model S competitor. Looking to 2018, Porsche’s point person for sales, Detlev von Platen, believes the company is “well positioned” for a good year. Back to the underdog, Tesla sold just 101,312 vehicles, of which only 1,550 were the new Tesla Model 3. For perspective, Tesla started manufacturing the Model 3 in June of 2017, with the first deliveries being passed off to customers in July. 2017 sales represented a more than 30% increase versus 2016. Looking at 2018, numbers and estimates are a jumbled mess due to the instability of the Model 3 production lines to date. To get a baseline number, we can take the 70,720 vehicles sold in the first half of the year, add in ~25,000 quarterly Model S and Model X sales, and put Model 3 production at a conservative 5,000 vehicles per week. That gives us a reasonable 250,720 vehicles for 2018, assuming Tesla can at least maintain an average production and sales rate of 5,000 Model 3 per week for the balance of the year. Comparing that to Porsche’s numbers shows that the two are within spitting distance of each other in total annual sales. As with any forecast, there are a number of assumptions we have built into this and a number of variables that can affect it on both sides. If Porsche sees the same 4% growth that it did in 2017, we can expect its 246,000 vehicle sales to grow to 255,840. 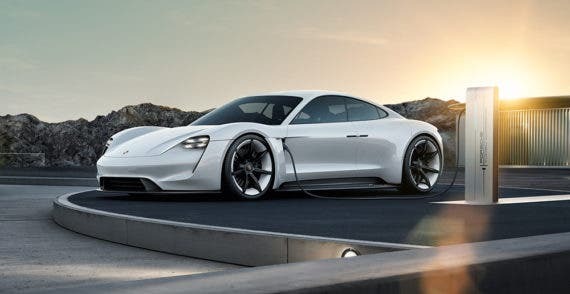 Porsche also just formally branded the car code named Mission E as the Taycan, which promises to truly compete with Tesla when it’s available and scaled up. With production slated for late 2019, it will not come into play this year, but it shows that the brand is starting the transition to fully electric vehicles. However, that 4% is not a given, and with Tesla consistently chipping away at luxury vehicle sales and now moving into the more affordable luxury vehicle segment, there is more potential for Porsche owners to jump ship into a Tesla. This factor is further magnified by the increasing focus in Europe on banning internal combustion vehicles from city centers, which could push more sales away from Porsche and to a growing list of zero emission vehicle options, including Tesla. On Tesla’s side of the equation, there are numerous factors that can influence its position up or down. Elon Musk and his team put everything they had into getting through what he called “Production Hell” and to a stable rate of 5,000 vehicles or more per week. Tesla achieved a production rate of 5,000/week, but it was very clear that it took everything the company had just to get there. It was flying production equipment and people around the world, standing up new General Assembly lines in tents in the north lot of the factory, and throwing in a ton of other tricks that may or may not be sustainable. Moving forward, Elon shared that the company has a much more conservative goal of stabilizing at a production rate of 6,000 vehicles per week by the end of August. 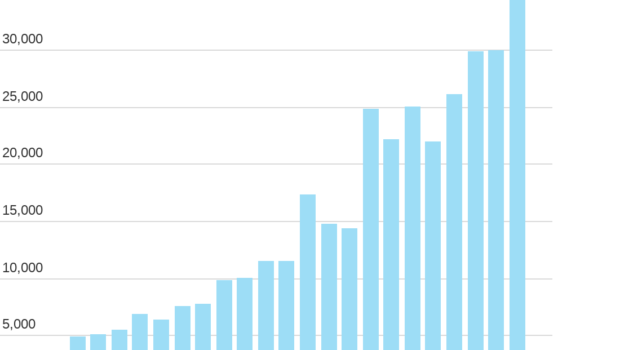 Let’s not scoff at that — it’s still a 20% improvement in production over the course of just a few weeks. But for Tesla, that’s a very mellow ramp considering what it has been through over the last few months. If Tesla can stabilize at 6,000 vehicles per week from September onward, that’s another ~18,000 vehicles that would be added to its total, putting it safely out of reach of Porsche at 268,720 vehicles for the year. Tesla had previously shared that it was targeting a stable run rate of 10,000 Model 3s per week, which would stretch this even further, but it seems that the difficulty it experienced just to get to 5,000 vehicles per week was enough headaches and it has since banished talk of 10K for the time being. 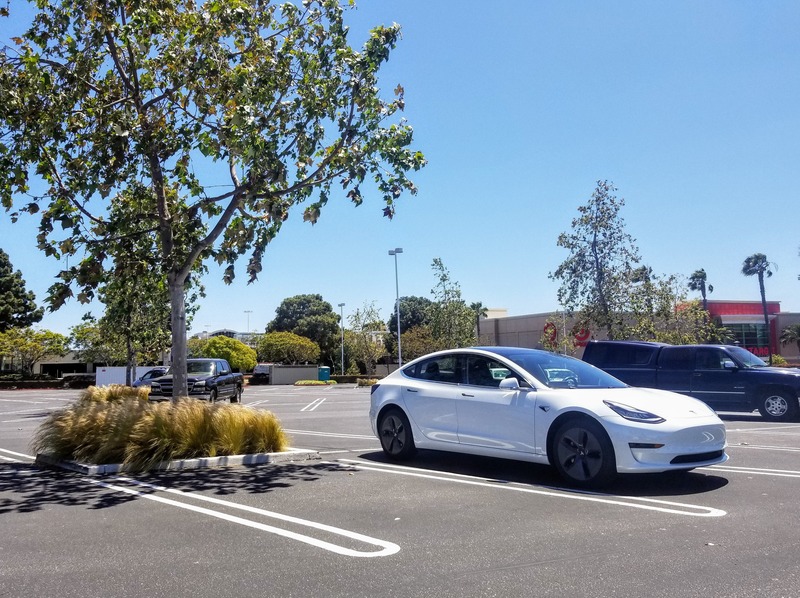 Hitting those numbers means Tesla’s production rate of 5,000 Model 3s per week was actually sustainable, or at least that it can make that number sustainable over the course of a few weeks. That is no certain deliverable from the company, as it has really, truly struggled over the last 12 months to even get this far. Production hell, indeed. It could be a matter of a single storm rolling in to put its parking lot assembly line out of production. On the other hand, perhaps it was a genius move that will have other companies following suit for early production runs of new vehicles. Tesla is also pouring fuel onto the fire with the opening up of Model 3 orders to the general public with or without a reservation. At present, the option is only available for the long-range, premium interior build, but that still opens up the ordering to more potential customers and will surely net a few more orders this month than there would have otherwise been. Time will tell, but the numbers we have at this point make it clear that Tesla is very much within striking distance of selling more vehicles than Porsche this year — and at a better margin per vehicle. Stepping back from the dogfight at hand, it is worth looking at the other plans Tesla has for expansion. Today, it signed a deal in China for its third Gigafactory, complementing its Nevada battery Gigafactory and its New York solar Gigafactory. A fourth Gigafactory is expected to be confirmed in Europe by the end of this year as well. On the vehicle front, Tesla is expected to unveil its highly anticipated Model Y sometime early next year, which comes alongside a Tesla pickup truck and the Tesla Semi in its pre-production vehicle stable. These vehicles come along with Tesla’s Energy business, which operates at the utility, commercial, and residential scales with unique solar+storage offerings for each. Tesla may be the newcomer on the block in the automotive world, in the luxury vehicle space, and in the performance vehicle space, but it is increasingly competing directly with the legacy automotive companies that have stood the test of time. Even more importantly, Tesla is redefining the automotive industry, and the new industry will not look much like the auto industry of our parents. The future is electric, my friends. 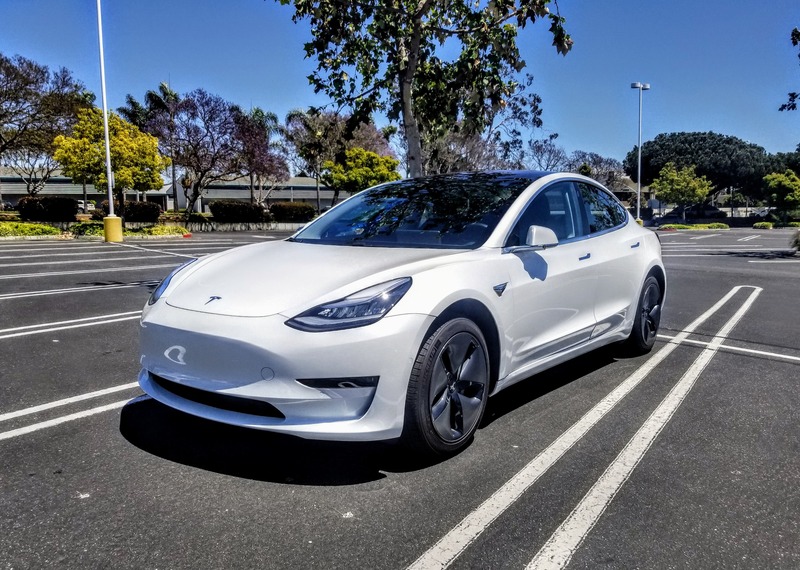 Tesla Model 3 Sales vs Small & Midsize Luxury Car Sales (USA) — Tesla Now Crushing The Competition?